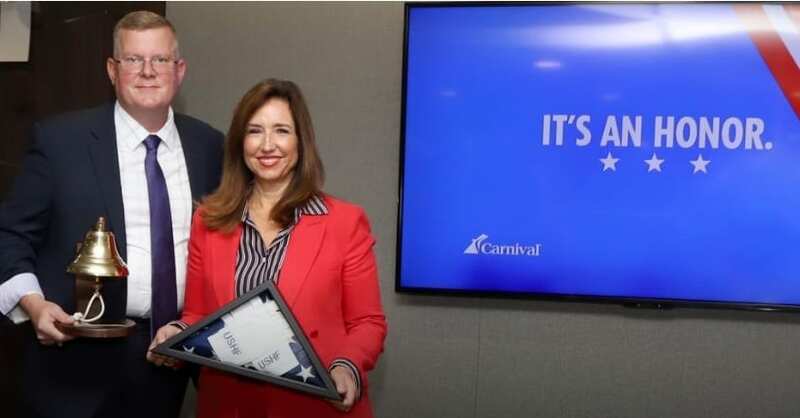 Carnival Cruise Line is the first cruise company to receive the honor of the prestigious “U.S. Honor Flag” that flew over Ground Zero following the September 11 attacks. The U.S. Honor Flag flew over Ground Zero following the September 11 attacks and since then has traveled 7 million miles, flying on the space shuttle Atlantis, and over the Pentagon, state capitols, presidential libraries, state and national memorials, as well as funerals and tributes to fallen soldiers, police officers and first responders. Carnival Cruise carries more military personnel and their families than any other cruise operator, and it was presented with the prestigious U.S. Honor Flag bestowed by the Miami-Dade Police Department Honor Guard in recognition of its tremendous support of the brave men and women of the U.S. armed forces.